First African American female Attorney at Butler and Burnett Law Firm. First African American Shareholder at MacFarlane, Ferguson and McMullen Law firm. 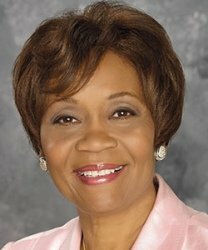 First African American female to work for a Fortune 500 company in Florida (Jim Water Corporation). First African American female to be employed as an Assistant State Attorney in the 13th Judicial Circuit, Hillsborough County, Florida. First African American to integrate Dowdell Junior High School, Tampa, Florida.